Question 1: If you could fall for one of your eyebrows, which would it be? I like my eyebrows the way they are and wouldn't change them for the world! Question 2: If any celebrity could fall for you, which celebrity would it be? Hello Zac Efron! But my list is very long but I won't bore you with the details and instead tell you that I love anyone tall, handsome and brown eyed.. Question 3: If you could fall and land anywhere on earth where would it be? Question 4: If you could fall into a jukebox and listen to one song on repeat for the rest of your life, what song would it be? Ooh, this is a tough one as my music loves always change from week to week but at this moment in time I love Ella Henderson's Ghost because of how powerful the lyrics are. Question 5: If you could fall into any movie, what movie would it be? Mama Mia here we go again ....! Question 6: If you could fall back in time, where would you fall back too? Question 7: If you could fall and hit your head and lose one memory, what memory would you lose? The ending of every single film I have ever seen because the endings of movies are the worse and always something unexpected. 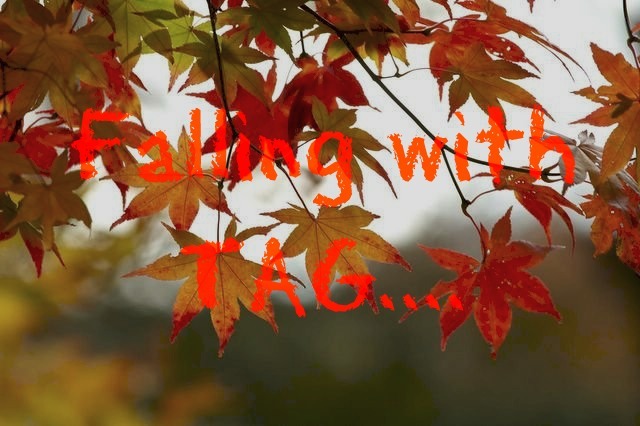 Question 8: If you could fall into any season and stay there all year round, what season would it be? Question 9: If you were going to fall into trouble, what would it most likely be? Question 10: If you were to fall into 1 million pounds and you could only spend it in one store, which store would it be? Erm Primark? It has to be they are the keys to my heart! Thanks Hollie , from tagging me and I tag anyone and everybody!